The rock genre appears to be making an impressive return, with bands aplenty fighting to make a name for themselves in the ever-changing world of music. Bands come and go, and each has their own unique sound, for the most part, but there are a select few who are good enough to ensure they stick around for quite some time. 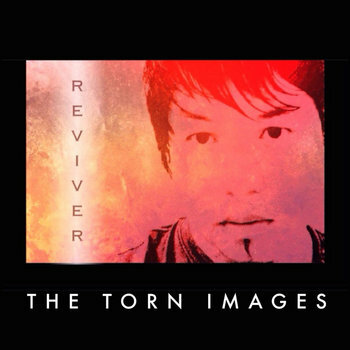 After my initial listen of The Torn Images’ Reviver album – their debut album release – I believe it’s safe to say this is one band that we’ll hear about in a few years. To kick things off, the first song off the debut album – The Drifting – is the perfect track to begin the entire album. It’s energetic, has an incredibly familiar sound – almost like old-school 90’s rock mixed with a bit of punk – and has gritty vocals that aren’t too obscured behind the sound of the instruments, but isn’t overly powerful enough to dominate the entire track. It’s a healthy combination of the talent behind the lead singer and his vocals. Continuing on, further tracks within their debut album sound similar to the first, but they each feature just enough variation to be their own musical piece. You can tell The Torn Images have found a style they enjoy – their own style – and will continue to work on and improve it in every imaginable way. While not everything changes drastically between each track, it’s still enough to be interesting and make you want to listen. You don’t truly feel as if you’re listening to the same thing, though it can sound like it at times. Things take a turn with Nearly Lost You, an almost entirely acoustic song, and the first on the album, which is a major change from the previous few entries. It’s timed perfectly within the track listing to mix things up. The vocals come across a little clearer when combined with the soft tones of the guitar, though there are some heavier instrumentals playing on occasion in the background to keep things interesting. The trend of slower songs continued a little further with Life On A Sandstill, which is an okay song, but certainly not a favorite amongst the rest of the tracks. Listening to a second slow song in a row makes me realize The Torn Images are better when they take the gritty, rock sound that begins their debut album off. It’s strong, enticing, and easy to listen to. The slow songs are fine, but they just diminish the rest just enough to make you really realize it’s happening. Of course, things do pick up once more after the middle section of the album. Songs start to get a little faster, making them far more interesting to the listener. The gritty nature of the vocals is present in some, but not all, which is, again, a nice change of pace. Overall, The Torn Images have a strong debut album. Like most music productions these days, though, there are a few odd songs that could be done without, and a few that will stand out amongst the rest. It will be interesting to hear where the tone of their music turns towards for a second album. When the zombie apocalypse finally hits, I may able to survive. But probably not. I write about the entertainment world...all of it.